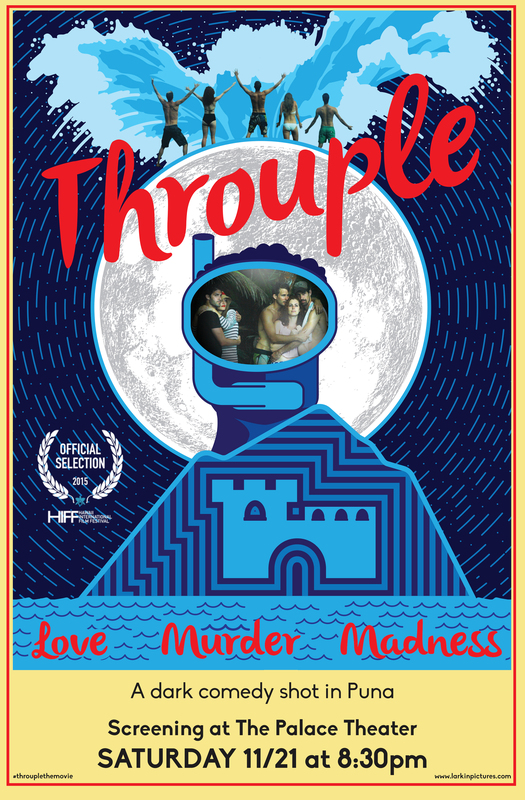 Dark comedy “Throuple” has been picked up for distribution by New York-based Candy Factory Films and released on Amazon and iTunes. This entry was posted in Uncategorized on December 7, 2016 by larkinpictures. Thanks so much to the Big Island Film Fest for awarding us the 2016 “Best Hawaii Feature” award! The deal was made even sweeter with an awards write-up in Variety. This entry was posted in Uncategorized on July 11, 2016 by larkinpictures. This entry was posted in Uncategorized on March 30, 2016 by larkinpictures. 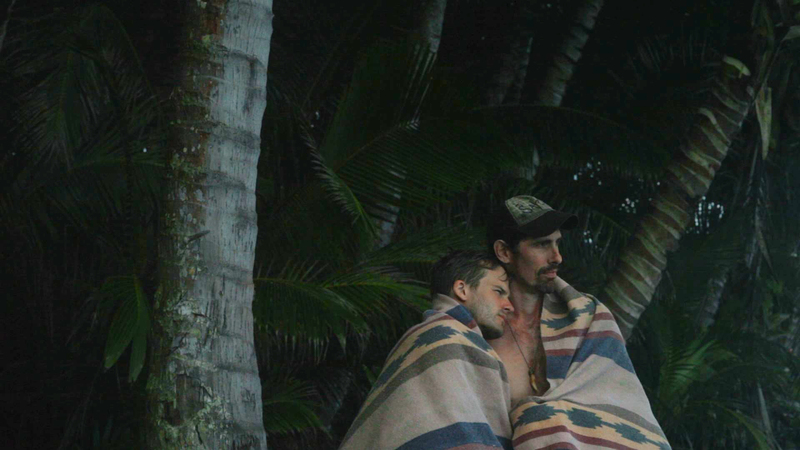 Throuple will be screening at the Palace Theater in Hilo, Hawaii on November 21 at 8:30 pm. This entry was posted in Uncategorized on November 11, 2015 by larkinpictures. Throuple is officially premiering at the Hawaii International Film Festival on Sunday, November 15 at 8:15 pm at Honolulu’s Dole Cannery Theater. An encore screening will take place Monday, November 16 at 3:00 pm. We hope to see you there! 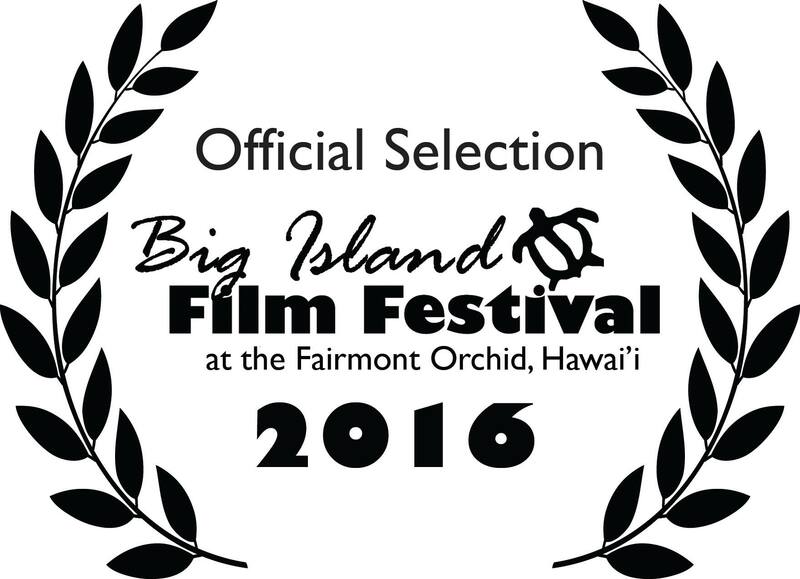 Throuple Accepted into Hawaii International Film Festival! 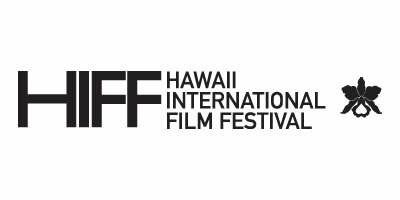 We are so excited to announce that Throuple has officially been selected to premiere at the Hawaii International Film Festival, November 2015. Details soon to come! This entry was posted in Uncategorized on August 26, 2015 by larkinpictures. After months of hard work, we’re so excited to release the official trailer for Throuple! THROUPLE Official Trailer from Phillips Payson on Vimeo. This entry was posted in Uncategorized on April 22, 2015 by larkinpictures. 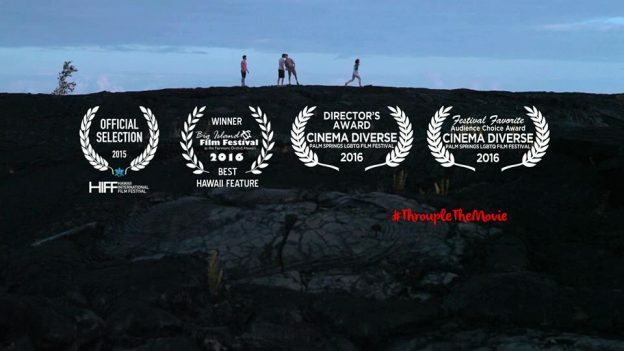 We are currently in post-production of our very first feature film, Throuple, which was originally titled and fundraised under the name of “Courtesy Flush.” The film, which was Kickstarter funded, was shot on the Big Island of Hawai’i in July of 2013 and has a projected release of fall 2015. Keep checking back for behind the scenes sneak peeks and updated project info. This entry was posted in Uncategorized on December 4, 2013 by larkinpictures. Courtesy Flush Has Been Funded! Thanks to all of your generous support, our Kickstarter campaign for the feature film Courtesy Flush was successful. With 143 backers, we were able to raise over $30,000 in just 30 days. Courtesy Flush will be filming on the Big Island of Hawai’i throughout July 2013, so please stay tuned for updates, behind-the-scenes footage and sneak peeks! This entry was posted in Uncategorized on June 18, 2013 by larkinpictures. Thanks for visiting Larkin Pictures! We are currently raising funds for the feature film, Courtesy Flush. Please view our Kickstarter campaign, watch our video, read about our interactive rewards (want to name a character? Have your photo featured on set?! ), and if you feel inclined, then make a donation. If not, at least watch our F*ck Fitness infomercial! This entry was posted in Uncategorized on April 22, 2013 by larkinpictures. 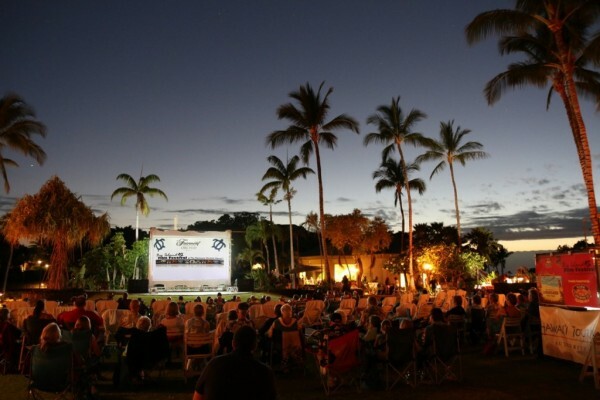 Larkin Pictures is an award-winning independent production company based out of the big island of Hawaii.